Bob Avian - Call on Dolly! 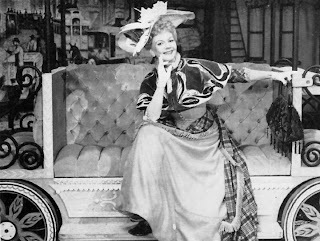 Bob Avian's Memories of Hello, Dolly! Bob Avian (born December 26, 1937) is an American choreographer and a theatre producer and director. Born in New York City, Avian's spent his early career dividing his time between dancing in such Broadway shows as West Side Story, Funny Girl, and Henry, Sweet Henry and working on projects like I Do! I Do! and Twigs. 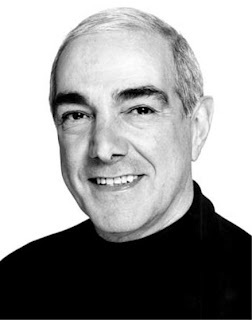 He met Michael Bennett when they both appeared in Nowhere to Go But Up in 1962, and over the course of the next two decades the two collaborated on Promises, Promises, Coco, Company, Follies, Seesaw, God's Favorite, A Chorus Line, Ballroom, and Dreamgirls, Avian's first credit as a solo producer. Additional Broadway credits include Putting It Together and the 2006 revival of A Chorus Line, which he directed. 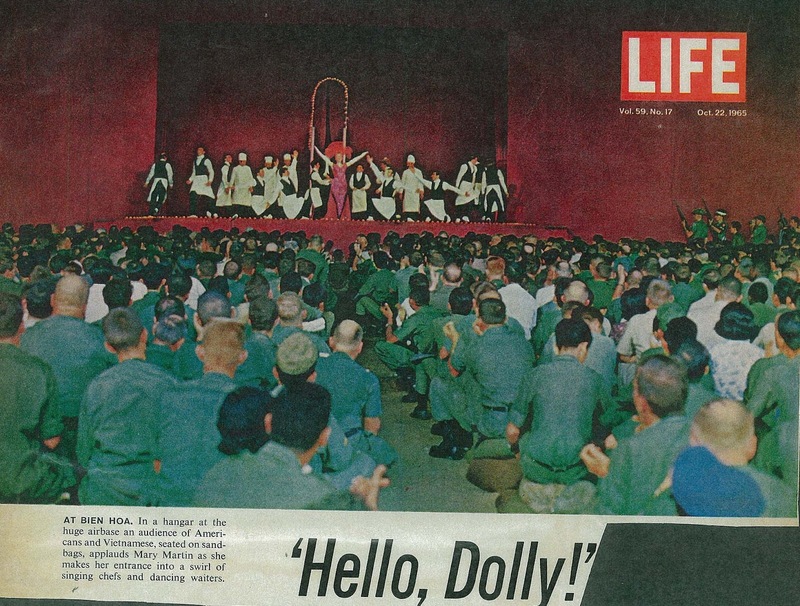 But for the purposes of this book, we are focusing on Bob's involvement with Hello, Dolly! Bob was a swing in Funny Girl when he auditioned for Gower for Dolly! They had worked together before on Carnival! He went in to audition and told the stage manager who he knew. He spoke with Lucia Victor, Gower's assistant, and told her that if he could not be dance captain, he wasn't interested. He had done the tour of that show. They had worked together before on Carnival! and had a great working relationship. He was working on building up his career. He got the job, did the tour, and would go on to be the assistant stage manager on I Do! I Do! He never worked with Carol Channing. 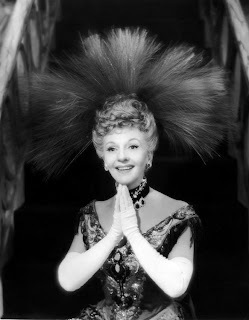 He only worked with Mary Martin and Betty Grable. Martin's Horace Vandergelder was Loring Smith, who had played Vandergelder in The Matchmaker opposite Ruth Gordon. Bob says he was wonderful. He really wasn't a musical comedy performer but he "held his own very well." He didn't have that "David Burns thing, that great comedic style but he was very true to the role and was very on target." They were in rehearsals four or five weeks before going on tour. The International tour started out with a limited American run with the plans of taking the show to Japan and Russia. They played six months in America before disembarking internationally. While this American tour was going on, they kept getting briefings from the State Department on their Russian engagement and they kept getting shots...because they would be passing through exotic locations like Afghanistan. They would be changing planes and they all needed their shots. Every couple of weeks, they were getting different injections. When they were in Japan, Russia cancelled them out. According to Bob, it was a "cultural harassment". According to Bob, they did not know they were going to Vietnam until they were in Japan. There were constant meetings. They were booked through the Department of State and were receiving letters from President Johnson. They were the umbrella for this tour. 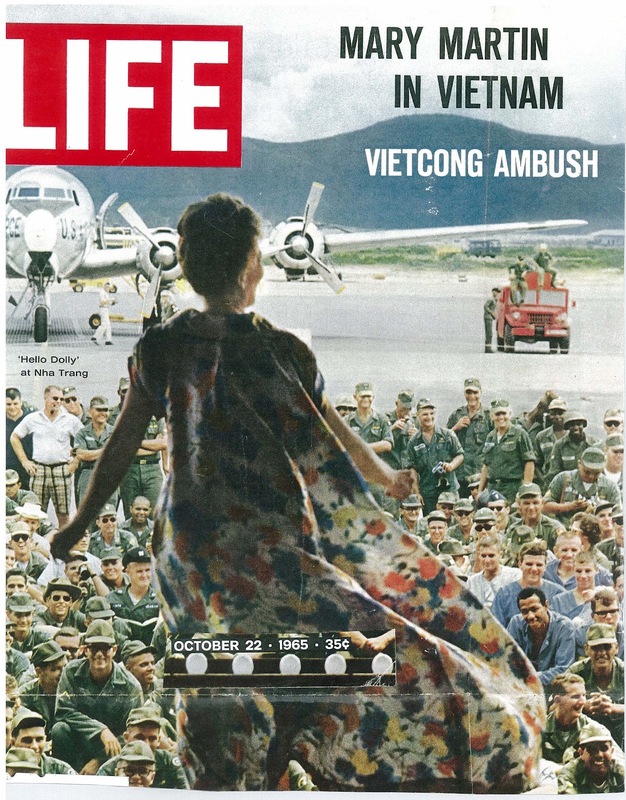 They were then switched over to the Department of Defense and were asked to go to Vietnam, Korea, and Okinawa. It was a hard time making that decision. There were some in the company that did not want to go. The was was already two or three years old at this time. A few people were very reticent about going, but ultimately, the "Let's Go!" people outvoted the "Let's Not Go!" people. Bob was on the side of "Let's Go". During this tour, Bob and Mary got very close. In fact, after Dolly!, Bob became the assistant stage manager on I Do! I Do! Speaking of stage managers, stage managers were not sticking with the Dolly tour. They had yet another one in Vietnam. Mary and Bob would sort of "control the show". He would come in early, put on his costume, and go into Mary's dressing room. They would do "notes" together. Bob was Mary's outlet for her notes. She was very concerned with everybody in the show. She was always aware of her "frame", so to speak. She would say, "Would you speak with wardrobe? I saw a tear in so and so's slip during the 'Dancing' number." She was that aware of everything and wanted everything to be great. Bob said he learned a lot by working with her on that show. How she worked as a star, how she managed her personality, how her notes to the rest of the company always came from a person in the "right position". When Bob was young, he loved touring. He would give up Broadway shows to tour because he wanted to see America. He wanted to see the world. He had previously done the European tour of West Side Story. Now, he hates to go anywhere...as he's gotten older. But then, it was a different story. He would go wherever he could go. Doing the tour was a roller coaster. He had loved the show when he first saw it on Broadway with Carol Channing. When he first saw the show, he said he just had to be in it! This was shortly after the show had opened on Broadway. Bob says he just sat there and thought it was everything a musical should be. Mostly Gower's work. Bob was a big fan of his. Gower was Bob's idol. He loved performing the show as well. He says it was a wonderful show to be in. "You were on the stage all the time. I was never so thin in my life. It was a workout." Bob goes on to say that he thought the show was so entertaining and beautiful to look at. Certainly Gower's best show, Bob believes. When the tour left Okinawa on its way to London, the principals all went but British Equity did not allow the chorus to continue on. A new ensemble came in. Many of this ensemble came back to the states and joined the Betty Grable company which was then in Memphis. They did a few weeks on the road, mostly in the South, and then they headed on to Vegas.Vegas was tough. It was two shows a night, condensed, seven nights a week. Bob says he doesn't know how "they" got away with it and he doesn't know how his company was able to do it. It was grueling. They cut the ballads and they cut the intermission so they were running all night long. He loved Betty Grable. At first, they had her in a red wig which Bob hated! After a while, they switched to a blonde wig revealing the Betty Grable of the movies, such as Coney Island. Bob says she worked very hard and was very musical. Much more so than he thought she would be. She had a great "ear".Although the cast performed seven nights a week, the band did not. This would prove to be problematic for Betty. One night a week, they had a swing band and she had a really tough time with this. She would get very upset. Sometimes she couldn't do the second show because she was so worked up. Bob would try and reason with her and tell her it was never going to be the same with a swing band. Bob stayed with the show for six months in Vegas before departing. He tells me that over the six month period that he was in Vegas, he lost 22 people from the company and therefore, he was never out of rehearsal. He would go into the theater each day at noon to rehearse and would do two shows in the evening so he would be up till two am! You have to be "very up" in order to do that. He remembers a young man in the company by the name of Bob Remick. When he joined the company, he and Betty became lovers although he was half her age. They remained together through her cancer and was with her the day she died. She died at the age of 56 of lung cancer. He remembers nothing of his final performance except that he was too tired and too skinny and could not wait to get out of there. The one lesson that he has carried throughout the rest of his career is how a star handles a company. What they send out, they receive in return. Because of his connection with Mary and hanging out in her dressing room each night, he got a handle on how she would think and how she would handle things. The star sets the tone for the production. The toughest part of his experience was Vietnam. It was ninety degrees ninety percent of the time. The humidity was unbearable. They were dancing on flatbed trucks in this quonset huts. The audiences were filled with injured soldiers in their blue pajamas. The company would be flown out each morning on these mat (military air transport) planes. They never knew where they were going. They didn't use scenery. It was just the costumes. They would rush in, perform for these soldiers, and then fly out. It was brutal. Their costumes were wringing wet and never dried out. They would do afternoon shows and then be flown out. By early evening, in some instances, the Cong would hear about this and fly their planes in and bomb the spots where they had performed! They were always kept under top secret. The military brass hated them because there they were with their long sideburns and their long hair and they had access, because they were Department of Defense, to the military makeshift bases and the lunchrooms, etc. They were shaking up the rigid routine of the military. During their down time, they tried to check out the cities and sights when they could. They actually did not have that much downtime but it was so exotic being in Vietnam. to them. When they weren't traveling by plane, they were all on buses. Extra buses were always on hand in case "something happened." Every time they traveled by bus, something happened! They would quickly be escorted from one bus to another. Security and the soldiers were always freaking out, this was a company of 75 people! That's a lot for security to take care of. Bob said that they (meaning the company) were so ignorant of how to protect or take care of themselves. 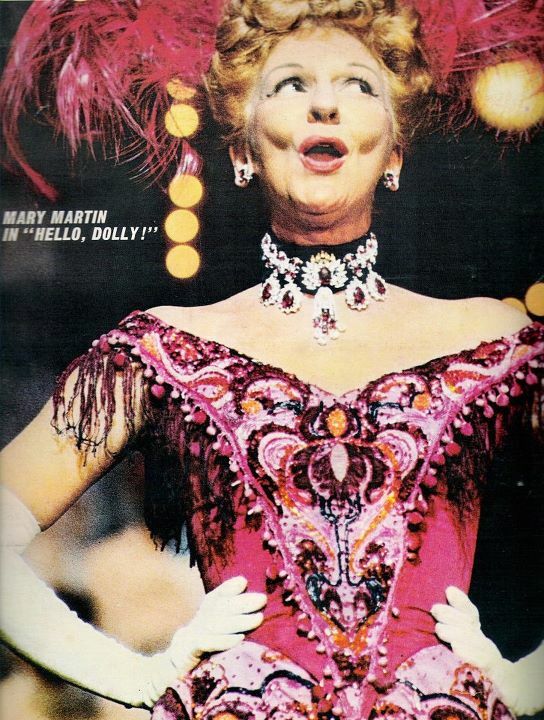 In addition to Mary Martin and Betty Grable, Bob also saw Carol Channing, Martha Raye, Pearl Bailey, and Phyllis Diller play Dolly. He always loved Martha Raye but she had a speech problem. She would fumble and he felt that got in her way. Phyllis Diller was Phyllis Diller. Pearl would get out of control with her "post show rap". The cast hated it because they just had to stand on stage while she was doing her routine. 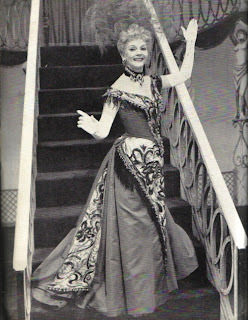 Mary Martin is the one who started the post show speech. It sort of crept in. Mary started doing it and the audiences were so responsive that it stayed in. Ginger Rogers, who was doing it on Broadway, heard about it and SHE started doing it. Then it snowballed, became part of the show, and everybody started doing it. It was very effective when they were playing Japan. One of the boys in the chorus was an army brat and had grown up on Japanese military bases in Tokyo and he was tall and blonde and he could speak Japanese. Mary would use him as the interpreter. The audiences would be hysterical because of this tall blonde actor speaking fluent Japanese. Bob loves Jerry Herman and his body of work. What's not to love. From Milk and Honey on. He knows how to structure a musical. The biggest change Bob has seen in the business since doing Dolly! is the birth of the "concept" musical which Hal Prince started. Everyone seems to be on that bandwagon now. Bob misses the good old fashioned musicals. He feels that audiences are missing that as well. When they do come along with them such as the revival of Anything Goes, the audience response is tremendous. He wishes that we had more of them. Except of the productions listed here, he has never since seen another production of Dolly! His feeling is "Don't go there". Going to a production of Mame done by a regional theater. he said he had to leave at intermission. 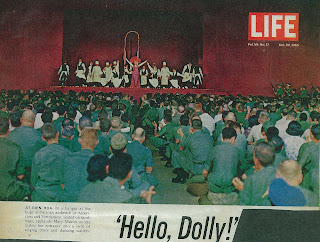 All in all, Hello, Dolly! was a great experience. It satisfied his desire and need to be in this show AND it led to his next job, I Do! I Do! with Gower Champion and Mary Martin. Gower would bring him in early. It was not a dancing show but Gower would want to work with Bob to stage some material. His bond with Mary became stronger and he would coach her. The associations Bob made with Dolly are still special to him. It was a great company. They were very family bonded.